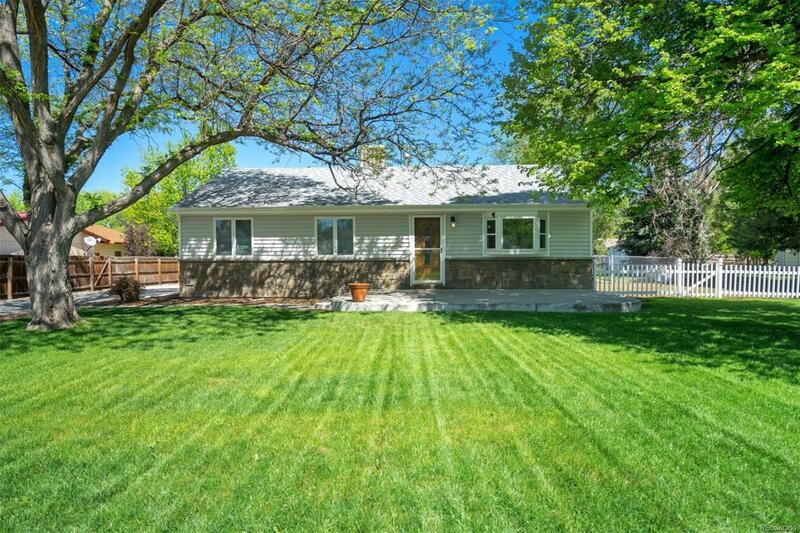 This remodeled and updated Ranch style home is ready to move in and enjoy! Beautiful concrete front patio and newly poured back patio, with ramp for handicap access if needed! Gorgeous lawn and trees, front yard sprinkler system, plenty of room for gardens, RV parking, and extra long driveway leading to the 2 car garage with extra storage! Ranch style flows nicely, wood floors, updated, beautiful kitchen with eating space, all appliances included, newer appliances, 2yr H20 heater, newer windows, vinyl siding! Master bedroom has its own bathroom, and the evaporative cooler keeps the temperature nice in these summer months! Blocks from CCU, close to public transit, Federal Center, Belmar, shopping and amenities! Make your appointment today to see your new home! Offered by Mb Co Property Sales Inc.